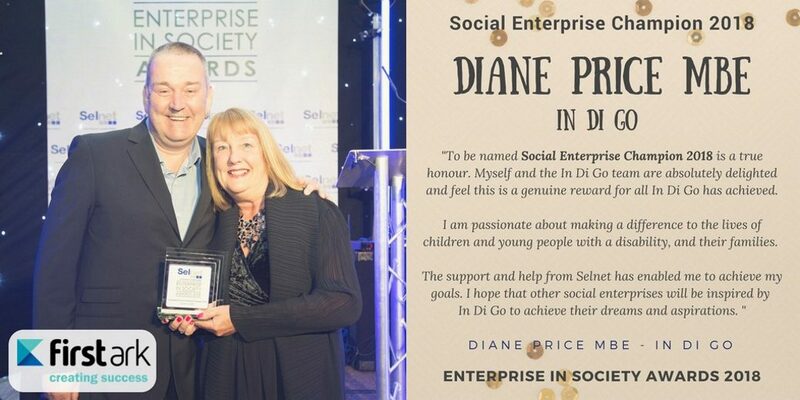 Each year, Lancashire’s Enterprise in Society Awards celebrates the outstanding contributions of one individual to social enterprise in Lancashire – and our 2018 Social Enterprise Champion award was presented to Diane Marie Price MBE, the Founder and Director of InDiGo. InDiGo works with disabled children young people 0-25 years old and their families who are under pressure from the situations they find themselves in. Diane’s vision is a society where all children and young people with a disability are able to realise their goals and aspirations, with a right to community inclusive activities and services that support them and their families. InDiGo was founded on Diane’s real life experiences of bringing up a son with Autism and ADHD. She has the greatest empathy for families with children with disabilities and founded InDiGo from a passion to help others in similar situations to improve their lives. InDiGo makes a difference to the lives of disabled children/young people families and their siblings, providing families with short breaks. The children are cared for by volunteers who have been carefully chosen to look after them, creating a bond of trust, understanding. 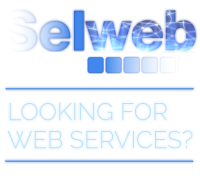 This encourages parents to expand the inclusion services available to them. Some have never been swimming, so for a child with a disability to go into the water can be a rewarding achievement. InDiGo also provide advocacy services, offering support, encouragement and empowerment for parents and carers at meetings with social care, health, education or welfare meetings and supports them with forms and letters. The service has been in operation for 6 years and through Diane’s work driving the service forward it has successfully achieved funding from various charitable organisations, bringing benefits the too socially deprived areas where parents face the barriers such as social isolation, financial restraint and educational limitations themselves. “I am passionate about making a difference to the lives of children and young people with a disability, and their families. To be named Social Enterprise Champion 2018 is a true honour. Myself and the In Di Go team are absolutely delighted and feel this is a genuine reward for all InDiGo has achieved.